No paper, No pens, No cheating! 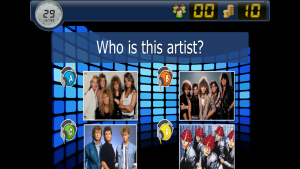 Quizxpress is just like a real life TV quiz show with wireless keypads, multimedia questions, live scoreboard and more! Pricing varies based on duration and group size. What makes QuizXpress for Events so popular? It’s time to jump aboard the QuizXpress Game Show! If you’re looking for a night of fun interactive trivia entertainment that is totally engaging then look no further. Once you’ve played QuizXpress you will never want to try paper based trivia again! QuizXpress is just like being in a real life TV quiz show like ‘Who wants to be a millionaire’. With state of the art multimedia capabilities, digital projectors and wireless keypads, QuizXpress is high-octane quizzing that will keep your guests engaged and entertained for hours. 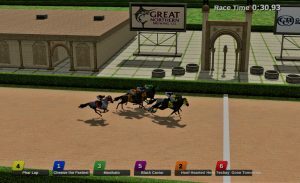 The leader board display, creates a real sense of excitement as players get up to the second updates where they sit on the leader board creating a real buzz. Trivia Ladder – Where your team ends up on the trivia ladder at the end of the round determines how many points you win. It’s like Who wants to be a millionaire! Fastest Finger – Only the team or person who presses the buzzer first and answers correctly gets the points everyone else misses out! Elimination – Players or teams are eliminated for answering incorrectly creating a real buzz. Penalty Shootout – Can you guess where the ball will end up in the goals. Will it be top, bottom, left right or will the goalie make a save. This is a fun and interactive game to be played! Multiple choice answers gives everyone a chance to get the right answer! Multi-media capabilities allow you to use movies, video, pictures and other forms of exciting entertainment during the Quiz. Wireless keypads create an exciting and thrilling atmosphere as people buzz in their answers and get to see instant results to their answers and where they stand on the leader board. Play a variety of different games. QuizXpress can be played in between courses at a dinner or awards night keeping the night interactive and fun or used as a learning reinforement activity to quiz your delegates learnings during the conference with the results provided in a excel file or as a fun ice-breaker to kickstart or end a long day in the conference room. QuizXpress will help bond your teams, improve communication and allow participants to test the strategy and risk taking skills whilst having fun and laughter at the same time. If you are looking for a new way to entertain and interact with your guests at your wedding or special occasion, instead of the normal slide show, why not use the pictures and video of the bride and groom and ask the audience some funny questions about them or where they were etc, creating an interacting night for of laughter and fun and the live scoreboard will let you see who really knows the person of honor the most! 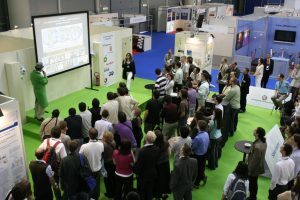 QuizXpress can also be used as some fun trivia entertainment to generate attention, draw a crowd to your trade show booth and capture your visitors’ attention long enough to inform them about the products and services you offer. For some of the player modes it’s possible to even save visitor contact data in an Excel file, allowing you to capture crucial data to assist in closing sales. 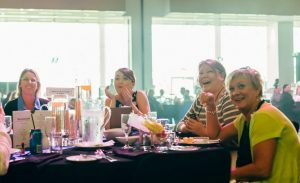 With the ability to generate customised multimedia questions using video, pictures and music imagine the fun you can have at your next corporate event, special occasion or trade show! Q: HOW MANY PLAYERS CAN PARTICIPATE IN A QUIZXPRESS GAME SHOW NIGHT? This system is capable of scaling up to more than 1,000 buzzers. If you assumed 6 players per team that is a total of 6,000 people could be playing. Q: HOW LONG DOES THE GAME SHOW GO FOR? A typical show will go for about 2 hours. We can however customisable a show to be shorter or longer depending on your requirements. Q: CAN THE GAME SHOW BE PLAYED DURING A MEAL? Q: WHAT LOCATIONS DO YOU TRAVEL TO? We will travel anywhere anytime to infuse some fun and excitment into your next event. Simply contact us for a quote. Q: DO YOU PROVIDE THE HOST? Yes we normally provide a trained host who will keep your guests entertained for hours. If however you prefer your own hosts, we will need to train them up on how to use the system, but we'll still be present at the event to ensure it goes off without a hitch.